Subaru’s offer an excellent assortment of sedans, crossovers, SUVs and wagons for all your adventures. Mike’s Foreign Car Service wants to help you keep the fun going by properly maintaining and repairing your vehicle when the need arises. While most modern vehicles can now go much longer between regular service intervals it is still important to adhere to your manufacturer’s service suggestions. The manufacturer’s maintenance schedule is based on ideal driving conditions. That being said, even your daily stop and go commute can be considered severe driving conditions, couple that with extreme weather, heavy towing, steep climbs or a muddy road and you’ll want to get your Subaru inspected by one of our professional technicians sooner rather than later. We are here to keep you Subaru both safe and reliable. They have a lot of great safety features that you want to make sure are in good repair before your awesome camping trip, furthermore we won’t suggest anything you don’t need. After we get you to know you and your driving habits, we will be happy to offer our own suggestions on how to best maintain your vehicle. Your brakes on any vehicle is probably the most important safety feature it has to offer. We are all required to bring our car, trucks or SUVs to full and complete stops regularly throughout our daily drives. Your Subaru is no different and because we know that Subaru owners love to get all they can out of their vehicles, it is important to make sure that your brakes are functioning properly. If it’s been awhile since you’ve had your brakes checked, it might be time to take another look. Feel free to call in and schedule an appointment for a brake check or there are often times when we can check your brakes while performing another service. Feel free to drive on by, give us a call or schedule an appointment online for a day and time that works best for you! 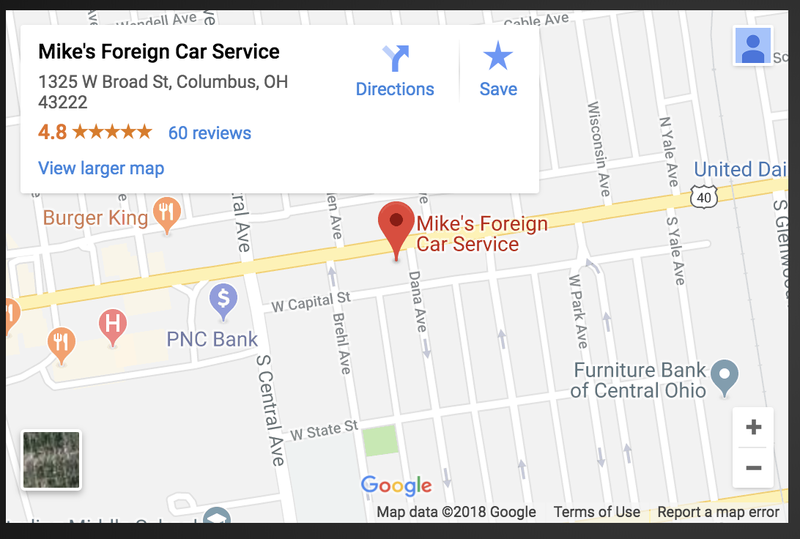 Here at Mike’s Foreign Car Service, we look forward to helping you prolong the life and performance of your Subaru.